Snuggle-Pedic Memory Foam Pillow Review - Is it Worth The Money? Are you having troubles in getting a good night’s sleep because you did not invest in a better pillow? Do you suffer with neck pain even when you have had a decent night’s sleep? Investing some money in a quality memory foam pillow (see our complete list) would solve all your sleep related issues. 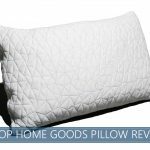 The Snuggle-Pedic pilow is one of the highest rated pillows on all the shopping websites. It offers all the benefits of a luxurious option at a fraction of the price. Sleeping on a good pillow can be the difference between waking up with a sore neck or back and waking up completely rejuvenated. Here, we present you our Snuggle Pedic pillow review and some key features that makes this product unique. There are a ton of options to consider when you decide to buy a new pillow. What makes this product stand out, you might ask? Memory Foam is a polyurethane material which has been modified with certain chemicals to enhance density and provide more support. Initially developed by NASA for the safety of their aircraft crew, this material is body heat sensitive and molds into a comfortable and supportive shape. The unique Snuggle-Pedic formula uses an exclusive mix of special hypo-allergenic V.O.C. Biogreen® memory foam and CertiPur-U.S. certified foam to create the ultimate sleeping experience. A good quality shredded memory foam solves all your sleep related issues because of its ability to conform to the shape of your neck and head. 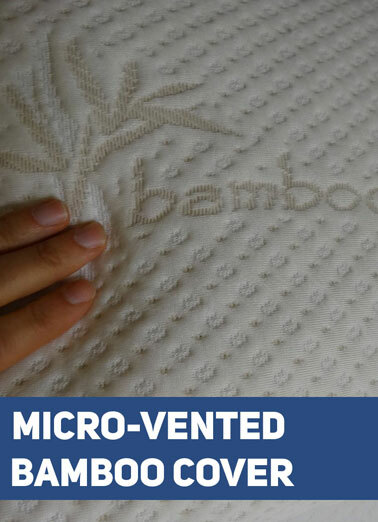 This ultra-luxurious comfort is further enhanced with a Kool Flow Micro-Vented Bamboo Cover which offers it unparalleled breathability when compared to other options. This unique cover allows air to circulate throughout the pillow, keeps you cooler and smells amazing. It is also completely washable, just like the pillow. One of the most standout features of this product is that it offers amazing orthopedic support, and the unique combination of resilience and fluffiness will adjust to each position you sleep in. This makes it the perfect head-rest for side, back and stomach sleepers. It is also the perfect pillow for all the pregnant ladies out there because of the way it conforms to the body and offers unparalleled support. This product is available in standard, queen and king size to suit your personal preference. One of the biggest advantages of shopping online is the amazing return policies offered by the famous bedding brands. You can literally try the product out for a few days and decide if it is the right fit for you. You have the option of returning it if you are not comfortable with your purchase. Snuggle-Pedic offers an unmatched 20-year warranty that is accompanied by a 90-day sleep trial. The return process is hassle-free and the company guarantees a complete refund with free return shipping. Investing some money in a decent pillow might be one of the best decisions you ever make. Also, buying it online might save you the hassle of going to the store and trying them out. It saves you a ton of time and money and you can select from a wider range of options and sizes. 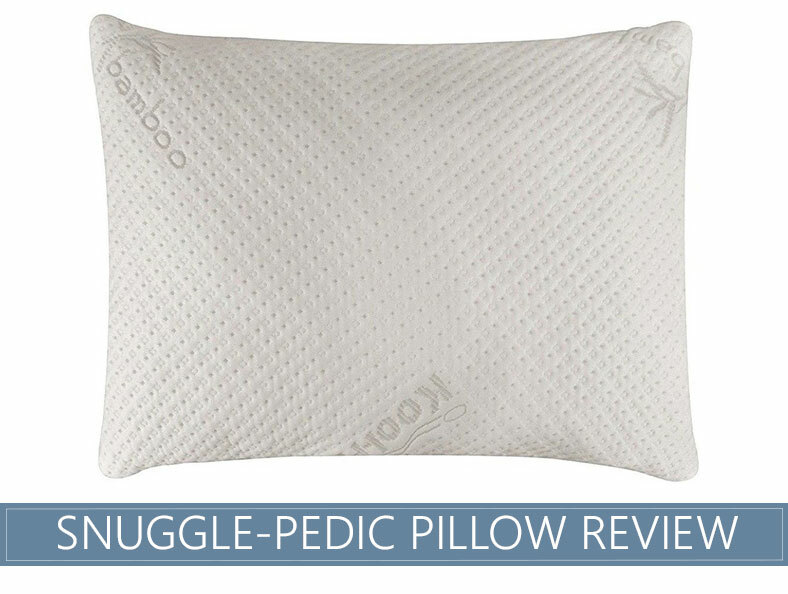 The Snuggle-Pedic Ultra-Luxury Bamboo Shredded Memory Foam Pillow will never go flat. The luxurious construction and the ultra-breathable micro-vented cover make it the ideal choice for all types of sleepers. It feels amazingly comfortable against the neck and head and naturally adjusts its shape to give you unparalleled support in any position. Some customers had an issue that the pillow felt too firm at first and had a weird odor when they unboxed it. Although, the pillow adjusted its shape within a few days to feel more comfortable while sleeping, and the odor was gone after the first day or two. All you need to do is give it a little time to breathe. 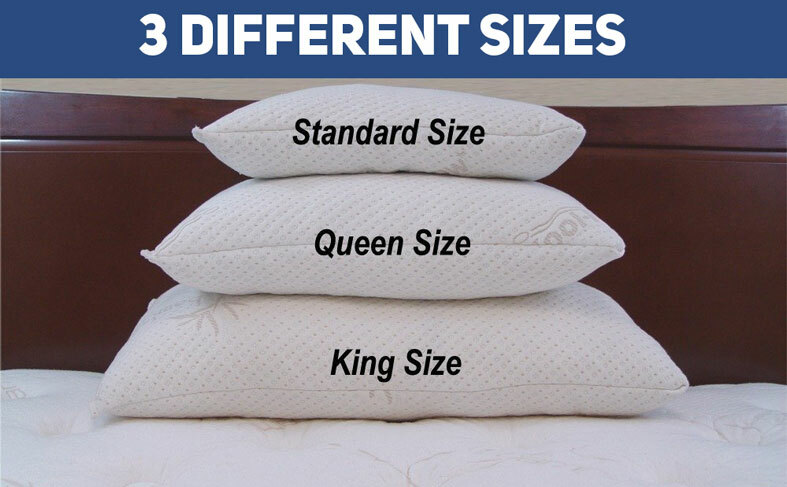 It is available at less than half the price when compared to similar products in showrooms – it's one of the most versatile pillows available online. I found this pillow to be extremely and unusually heavy. I had to take a bunch of the stuffing out to begin with, but I don’t really see what makes this pillow so great. I have a closet full of pillows that were not comfortable. Received the Snuggle-Pedic as a gift and am very pleased with it. Have added a part of the extra fill that was offered which made it even better.